Do Authors Need a Platform? Yes, More Than Ever. With hundreds of thousands of books being published each year, building an audience before your book is published has become a necessity. Authors must realize now that it’s not only great writing that makes a successful book. 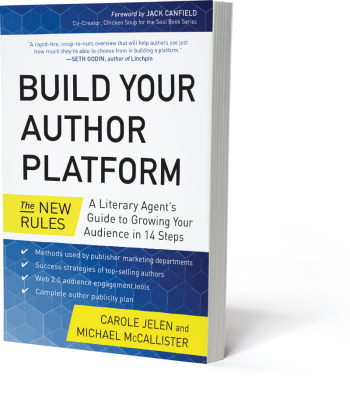 The Author Platform method endorsed by major publishers.